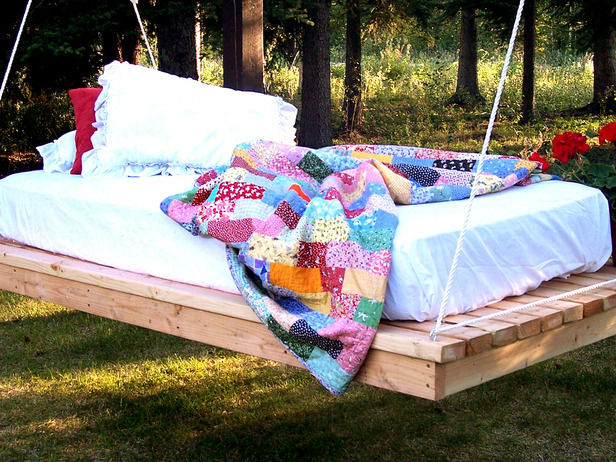 This fun DIY hanging bed would have my kids fighting all summer to sleep outside under the stars. I think if I built one I would have to build one for everyone! And created these plans for an outdoor hanging bed, but some of her readers have even taken the plans inside by creating a hanging bed indoors. How fun would a hanging bed be in your daughters bedroom! You can check out Ana's full tutorial for a DIY hanging bed over at HGTV. I want to make one of these for pictures. A big kid one and a little one, I am in love!